We can help other organisations and individuals with meeting room, projector or screen hire. 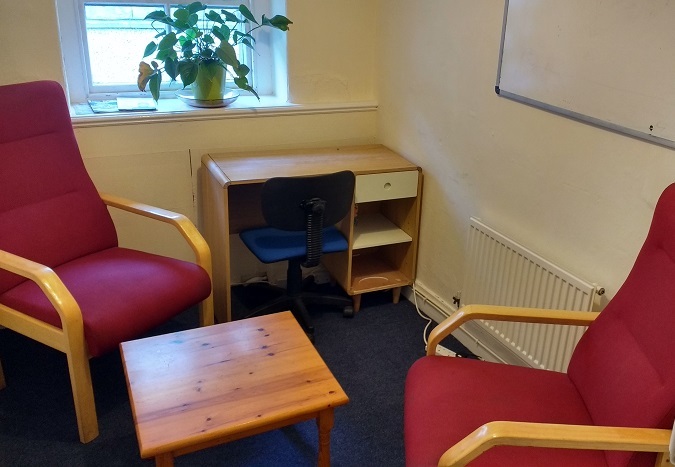 In Buxton we have two rooms – one wheelchair accessible room on the ground floor and another room on the first floor, suitable for counselling or one to one meetings (see the photo on the right). Our projector and screen are available for anyone to hire for short term loan from the Buxton Office only. Yes. For our Buxton rooms, we charge a standard rate of £8.50 per hour for our meeting rooms, £27.50 for a half day or £43 for a full day (from 1 April 2018). Rates are negotiable for block bookings. For our Ashbourne room, we charge £12 per hour, again rates are negotiable for block bookings. Projector/screen hire are charged at £10 per short term loan per item. 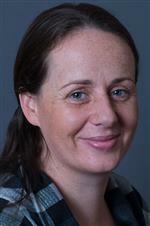 How do I arrange a Meeting Room, Projector or Screen Hire? Please note if you have booked a Meeting Room, any cancellations less than 24 hours ahead will be charged at full rate.